So many places on Earth have volcanoes, and so many volcanoes on Earth are awakening, and yet people still choose to live near them. Why? Paradise…. Some of the most beautiful, fertile places on this world are under volcanoes, or at least near enough to them to pose a risk if the volcano erupts. Hawaii, Alaska, Japan, Indonesia, Italy, Iceland, Greece, Mexico, Peru, and so many, many more, all are beautiful, all have people choosing to live near volcanoes. Last January I predicted that 2014 would see an increase in the number of volcanic eruptions and an average increase in the severity of the eruptions. My forecast was correct. This past year has had volcanoes erupt that forced tens of thousands of people in a dozen countries to evacuate the areas under the volcanoes. Indonesia, especially, has been forced to evacuate people again and again because of a number of large volcanoes erupting. People were killed in September when a Japanese volcano erupted without warning. Tourists, visiting the beautiful forests to see the fall colors in the tree leaves, came to spend time in paradise… tragically they died. The people of Japan grieve the victims, but the people of Japan still choose to live in the paradise under the volcanoes. Why? Because most of the time living in paradise is worth the risks. Even when the people know that volcanoes are awakening, even when the ground shakes under the volcano, they choose to remain–at least until the last minute–most evacuations take place after the eruption begins. I lived in California’s Sierra Nevada for seventeen years. Using meditation, I slowly tuned my soul to the soul of Earth. I believe Earth is alive, a giant, single-cell, macro-organic life-form. Her strong magnetic field is no cosmic coincidence. It is there to protect the living world from the harmful cosmic radiation. Her living body includes millions of cubic kilometers of micro-organic life-forms living in water-saturated rock. This is not a cosmic coincidence; this is a living world. Earth lives to nurture life–all life–not just self-centered humans. Of all the things in the vast Universe, nothing is more precious than a living world. Like all living forms, Earth goes through cycles. Cycles of warming and cooling are normal. Geological history shows that cooling often happens quickly and warming is often slow. Ice quick, thaw slow. One quick way to cool the world is using volcanoes. Enough smoke and ash in the atmosphere can cause the temperature to drop quickly. I believe that is the trend for the next few years (at least); Earth is awakening volcanoes to cool the surface once again. Our contributions to global warming accelerated the process from gradual warming to feverish outbreak. Mother Earth is responding to the fever now. Hopefully, and probably, she will bring the temperature down. She knows how to do it. So the Maidu people (Native Americans) that predicted the eruption were more in tune with the Earth than the scientists. 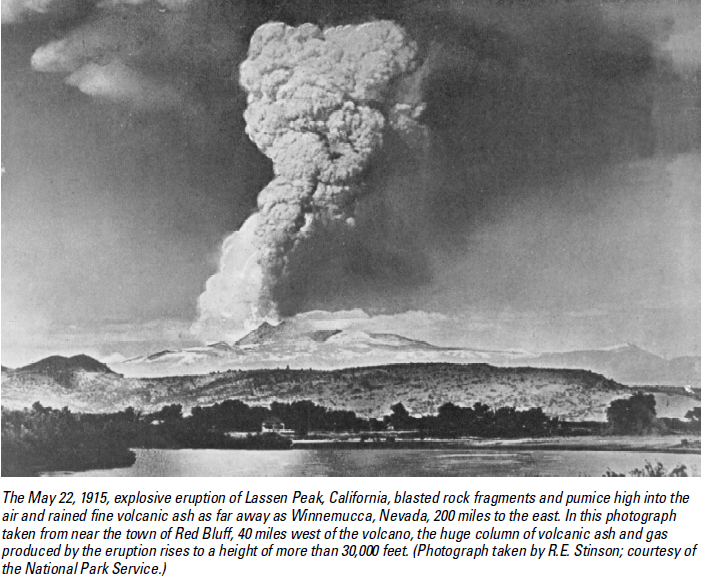 I have been predicting that Lassen will erupt again before the end of 2017. I stand by my prediction. Especially after seeing the trend patterns for volcanic eruptions this year. From Iceland to Antarctica, volcanoes are awakening. The Pacific Ring Of Fire is like a string of firecrackers popping. This year Mount Hood in Oregon rumbled with a cluster of small quakes. A news article claimed “the magma is moving” under Mount Ranier in Washington. On November 11th, a series of small quakes occurred under Mount Lassen. Am I worried? Not really. What happens, happens. As a matter of fact, I hope to be moving to Paradise, California in a few weeks. Paradise is about forty miles from Mt. Lassen, close enough to get good Facebook pictures if it pops. 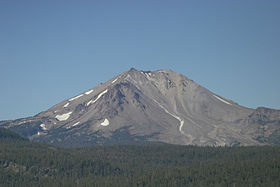 Heck, I was willing to live in a little town called Burney, right between Mt Shasta and Mt. Lassen. I just happened to fall in love with the town of Paradise (and got a better deal on a home). If the deal goes through, I will be living in Paradise near a volcano–not just any volcano– the only volcano that I’m predicting to erupt in the next three years. My general predictions for earthquakes and volcanic eruptions in 2014 have come to pass. I predict the same for 2015: more earthquakes than the previous year, more serious quakes 5.5 magnitude and up, more volcanic eruptions than the previous year, more serious (atmosphere affecting) eruptions. Let me also point out that most scientists were predicting another poor rainy season (Fall, Winter, Spring) of drought for California. I predicted months ago that I believe we would get considerably more rain this season than the last few years. Why? Because volcanoes are cooling the world. So far, for September, October, and November, we have had rain. It’s raining now, it will rain tomorrow. It is already looking to be a colder wetter winter for the US. Perhaps all the volcanoes in Japan, Kamchatka (Russia), Alaska, and Iceland are helping cool the Arctic. Polar vortex again? And, again, and again?